Who doesn't love a great tailgate? Even if you are not into the sports aspect, you have to love sitting around with your friends drinking and enjoying some delicious food. 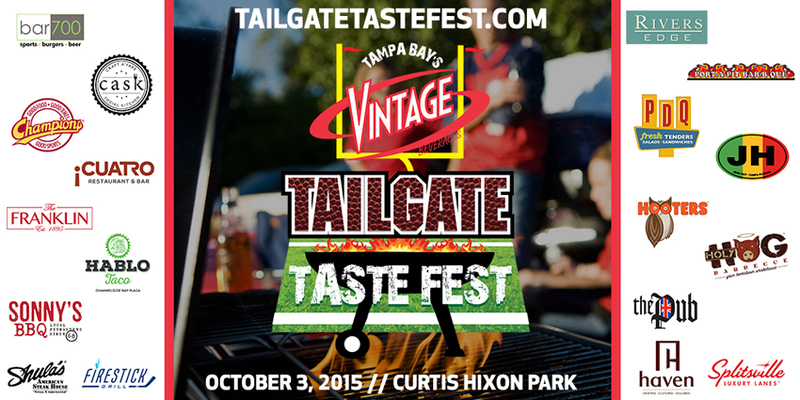 How would you like to tailgate with thousands of amazing people right on the water in downtown Tampa? Well, you will have your chance next weekend. 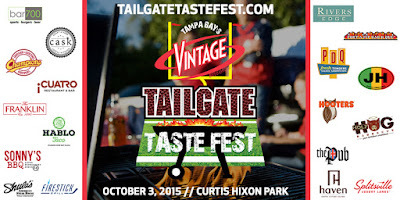 On Saturday, October 3, the Tampa Bay Sports Commission (TBSC), the Event Development Institute (EDI), Pepin Distributing and new title sponsor, Vintage Beverages, will again showcase many of Tampa Bay’s top tier tailgating food options at the second annual Tampa Bay’s Vintage Beverages Tailgate Taste Fest. 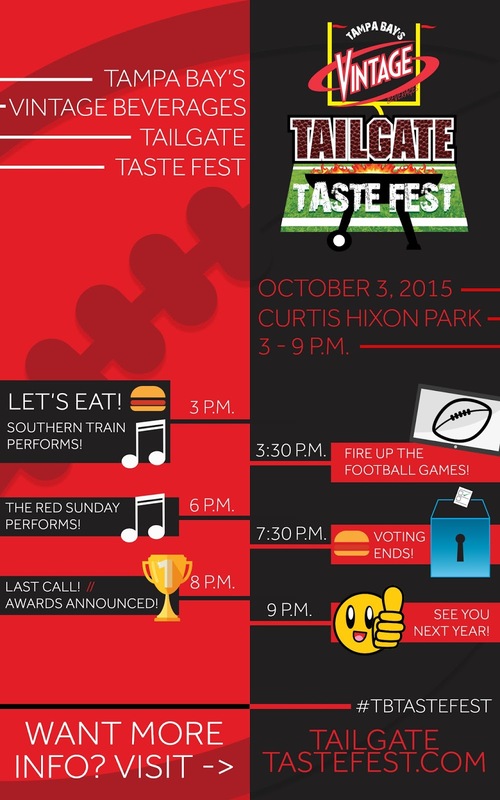 Hosted at Curtis Hixon Park, festivities will begin at 3 p.m. and continue through 9 p.m. Taking place during the heart of the college football season, Tailgate Taste Fest will entertain guests with live, in-game action, live music and several of the best sliders, chicken, barbecue and small plate food options in Tampa. 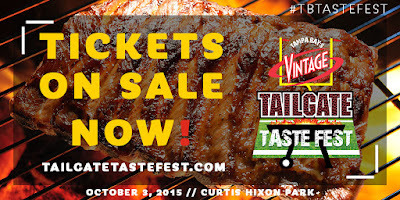 Haven and Firestick Grill are also VIP taste participants (for those of you joining me in the VIP tent). 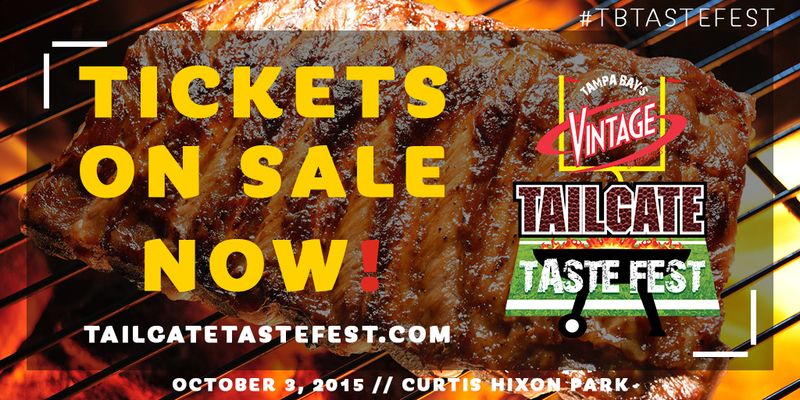 Purchase tickets on the Tampa Bay's Vintage Tailgate Festival website today. Win a pair of General Admission tickets here at Thrifty and Frugal Living!! THIS GIVEAWAY HAS ENDED. Congrats to Brian M! 1- Leave your full name and email address in a comment along with which restaurant you are most excited to try. I hope to see many of you next weekend! Make sure you follow me on social media for updates and pictures during the event. I will also be a JUDGE, so tweet me your favorites if you attend! *Disclaimer: I am receiving free tickets in exchange for promotion. I was not compensated in any other way. All opinions are my own. Brian McCarthy , email briansmc@gmail.com , looking forward to Shula's Steakhouse! Have fun! I wanted to attend this one, but we're going to the Oddball Comedy Tour this weekend. Can't wait to hear what your fave dish is!